Tune into your experience and clarify what matters. Equip yourself to overcome obstacles and take bold steps. Live courageously into your life— a life beyond belief. DO YOU LONG FOR CLARITY? Are you tired of feeling stuck and overwhelmed in your deconversion? Are old ways of thinking and being in the world robbing your life of new meaning? Do you want to connect more deeply with your humanity as you explore life after religion? Are you ready to write a new chapter and embrace a new story—your own story of boldly living a life beyond belief? What if you could get some time back? Unfortunately, there’s no way to get back the time you spent inside an unworkable belief system, and this realization is often accompanied by a deep sense of loss. I’m not going to “silver-line” the pain of this loss by claiming it has a special purpose or is part of some bigger plan. However, if in fact this one life is all we have, the moments that remain are priceless and full of potential. With newfound clarity, you’ll begin to conceptualize new possibilities and explore new ways of being human. With a deeper understanding of the deconversion process, you’ll be more confident as you embrace your personal freedom. With a clear plan for moving through your deconversion in a healthy way, you’ll be more at ease within your experience. With new humanity-affirming concepts, you’ll be less stuck in old unworkable stories that define and restrict you. With support from an experienced and knowledgeable guide, you’ll skillfully move through obstacles and get on with living your life. The Finding Clarity in Your Deconversion Questionnaire - a resource for understanding your deconversion and gaining personal insight into your unique experience. A 60-minute conversation with me, your skilled guide - gain new insights, construct useful concepts, outline a path forward, and clarify your deconversion (60-minute phone/video call). A follow up email and personalized feedback. Access to the Healthy Deconversion Project private FB group - connect with others, try out new resources as they are developed, and continue the conversation. I have been working with Brian for the past 3 years to build supportive community around those who are going through faith transition and deconversion. Brian is everything you'd ever want in a therapist or coach: a qualified professional with an open heart and an attentive listener, with a passion to help people live into the challenges they face and become more fully themselves. He's done this for me and he can do it for you, too! When you click the “Let’s do this!” button you will be taken to my Acuity scheduling page where you can schedule your 60-minute video/phone call. I'll email you the Finding Clarity in Your Deconversion Questionnaire and grant you access to the Healthy Deconversion Project private Facebook group. Prior to our 1:1 call I’ll review your completed questionnaire, clarify your goals, and answer questions via email so we can make significant progress during our time together. After our call I’ll review your actions steps and provide feedback via email. 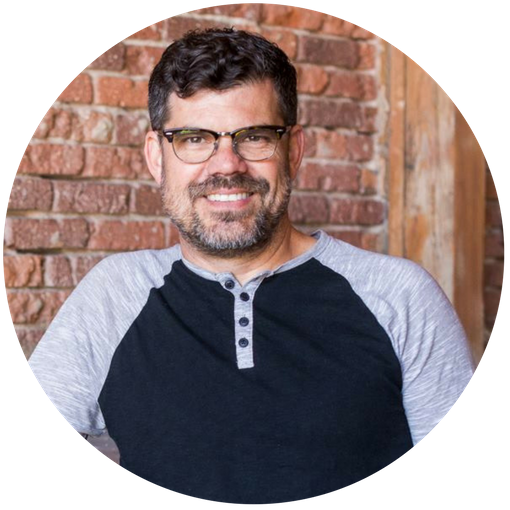 "Working with Brian has helped me develop more useful ways to be with the difficult feelings around my leaving the Christian faith and the complex emotions I have toward believers. This new way of being with my experience has led to improved relationships with people I deeply care about. What’s the difference between a guide/coach and a licensed therapist? There are many similarities and differences between coaching and therapy. In short, coaching tends to focus on the future and helping individuals reach their goals. Professional therapy cares about future goals, too, however, therapy focuses more on the emotional suffering and distress that limits an individual’s ability to function and take steps toward their goals. How do I know if I need a therapist or a guide/coach? As a licensed clinician, I can help you determine what modality best meets your needs. If professional therapy is a better fit for you now, I’m happy to help you connect with a licensed clinician. Some individuals find it helpful to work with a clinician and a coach with each service complementing the other. I’m happy to explore your options with you. My approach is informed by working with religious-based trauma as a clinician, guiding individuals through deconversions as a coach, adapting and applying evidence-based principles to this process, and years of personal work as part of my own deconversion. Will this help me sort out theological questions and truth claims? Not necessarily. It’s common to begin your deconversion as an intellectual pursuit of the truth. As you may know, countless books and resources are devoted to this quest. While this intellectual process can be incredibly valuable, there are equally important emotional and social processes that often go unexplored — processes with real-world impacts. To be sure, our work together will account for the intellectual piece of your deconversion, but we will expand the focus to a more comprehensive context and explore the broader human experience inside of a deconversion. What if I’m not interested in “deconverting” from religion completely? The majority of individuals I work with are making the difficult transition from fundamentalist forms of religion to a life beyond religion and supernatural beliefs altogether. Some individuals have transitioned from various forms of religion to a version of spirituality that works for them. While not as common, it’s possible to go through a deconversion process and arrive back where you started but with a clearer sense of your own agency, a deeper connection to your personal values, and more psychological flexibility. 1 - Despite how common it’s become, there’s still a lot of stigma surrounding non-belief and leaving religion continues to be a painful and difficult life transitions for many. 3 - Private online groups are an amazing place to share your experience and receive peer support, yet, in so many of these courageous stories the heroes remain stuck in a struggle to overcome what feel like insurmountable obstacles. 4 - I’m intimately familiar with this feeling, and I spent years of my life suffering in this stuck place — validated, supported, encouraged…and still stuck. I'm passionate about equipping individuals for a healthy deconversion and I would be honored to be your guide!